Boost Energy is launching a new flavoured water drink called Boost Fusion. Boost Fusion is about combining music and flavours together to create this new and unique flavored water.Each bottle is labeled with an unique music genre; this genre describes the flavour of the water. Boost Fusion connects music and flavours with everyday activities. For example, pick up a Boost Fusion Dance, to help benefit your work out. 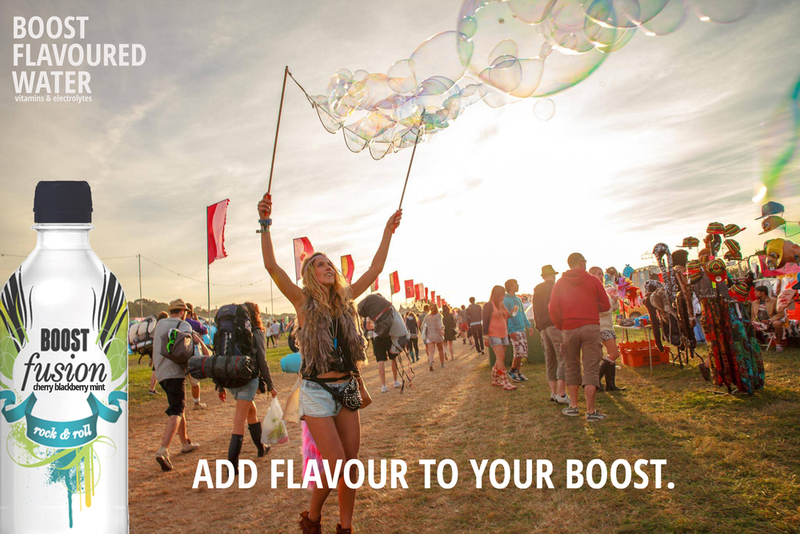 Boost is launching a new flavored water, fusing music with flavors.Click on the banner below to see what flavour your water is! Boost Fusion would sell best with the meal deal offers in stores such as Tesco, Boots, and Marks & Spencers. These grocery stores serve the best and healthiest meal deals and that would relate to our target audience.